The Epic Games Store has a real tempter with the latest game it's giving away for free, in the form of The Witness. The adventure puzzler from Jonathan Blow – the creator of Braid – is a pretty tasty freebie indeed, given that when the game was released a few years back, critical reception was almost universally glowing. The basic idea is that you wake up on your own, on a strange island, which you explore, and subsequently encounter a host of puzzles – some 500-plus of them, no less. So which are the best graphics cards out there? It isn’t everyone’s cup of tea, as some of the puzzles can be frustrating, and the solutions can seem a little obtuse. But if you enjoy this sort of game, or yearn for the days of Myst, it’s an absolute cracker – and if you missed out back in 2016, you really owe it to yourself to take the plunge now. 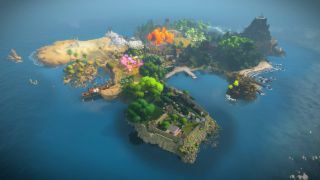 The Witness will be available for free from now until April 18. Epic has been making quite a name for itself through this relatively new online store, partly by giving away big-name freebies like The Witness (incidentally, the next free offering will be Transistor), and equally by securing exclusives and snatching games like Metro Exodus away from Steam. The latter moves, naturally, have made Epic less popular (to say the least), but from what we’ve heard recently it doesn’t appear that there will be any let up when it comes to nabbing PC exclusives (the latest of which is Borderlands 3).